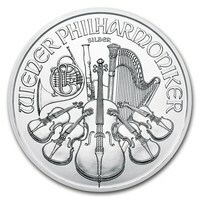 We are proud to offer the Austrian Philharmonic Silver Coins. After over 800 years of coin production, these coins are one of the oldest coins in the world. The Austrian Mint has become a top leader in the precious metal industry, and they the Austrian Philharmonic Silver coin was one of the best selling coins in the world for a number of consecutive years. 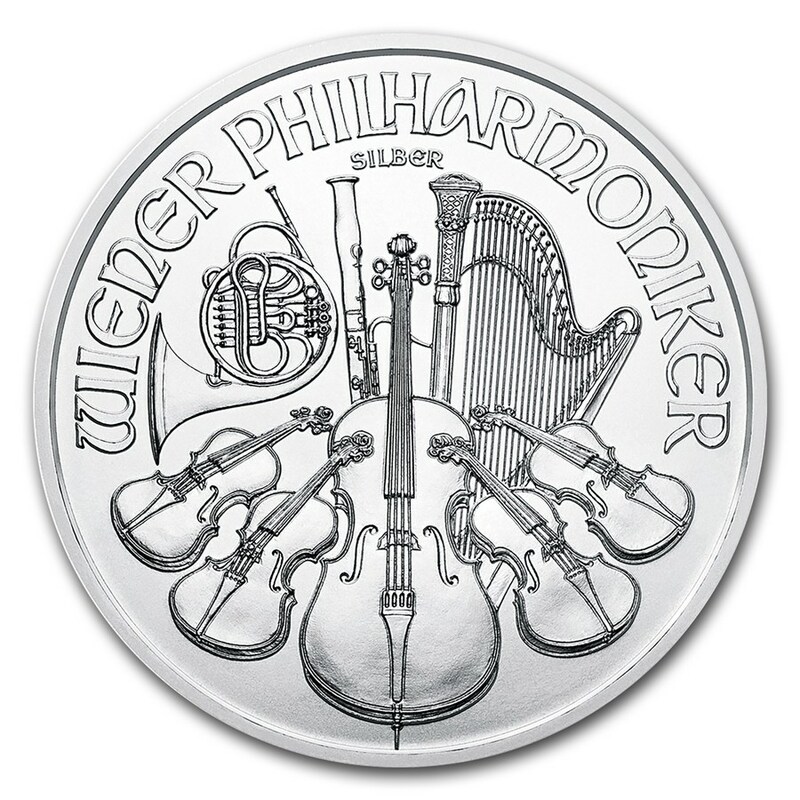 The Silver Philharmonic coin is one of the in-demand coins in the world. The coin is named after the famous orchestras in the world: the Vienna Philharmonic (Wiener Philharmoniker). It is the only European coin with a face value denominated in Euros, as well as being the only legal tender in Austria. On the reverse, the coin bears a classic and elegant design that reflects all the classical orchestral instruments that appear in the Vienna Orchestra. These are instruments such as a cello, a horn, a harp, and a bassoon. The obverse side features the Great Pipe Organ from the Golden Hall in the Vienna Philharmonic.